Fashion designers in New York had their heads in France for Spring 2017. 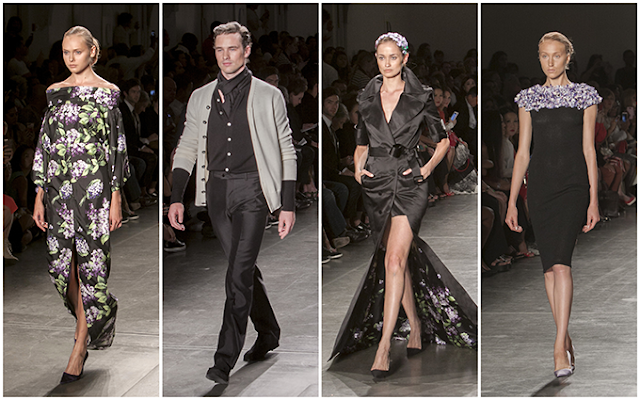 Zang Toi was swept up in the romance of Parisian ladies of leisure of the 1960's for his daywear and the country beauty of Giverny for his luxurious evening looks. Toi brought together a sophisticated color palette of black, lilac, cashmere gray, and dark violet. 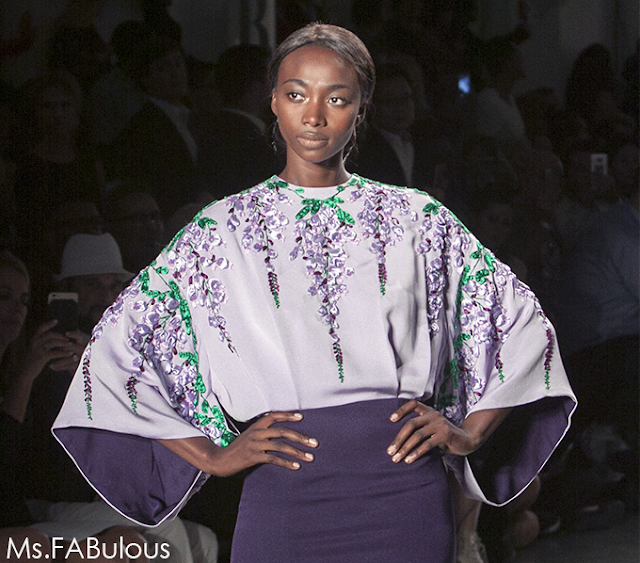 Beautiful 3D embroidery of trailing wisteria embellished the dresses and jackets. The rich texture of the embroidery worked to highlight shoulders, graceful necks, and slender waists. A larger scale lilac print had a 1960's vintage elegance to it. I always love how the designer spares no expense in pulling together the most luxurious Loro Piana cashmere and silk satins in his collection. Now, for those of you who can't swing the bill for one of Zang Toi's ballgowns or just don't have the occasion to wear it, indulge in some mini artwork instead. Papyrus, who has been providing NYFW guests with their couture greeting cards season after season has teamed with Toi and other fashion designers for an exclusive collection. What I love about Zang Toi's Papyrus cards are that they celebrate my favorite look from each of is past NY Fashion Week shows. They feature stylized fashion sketches and have three-dimensional embellishments. That pink card is a tribute to his French Riviera collection with delicate flowers; the green is and an ode to the Shanghai season with fur coat and jewels, etc. 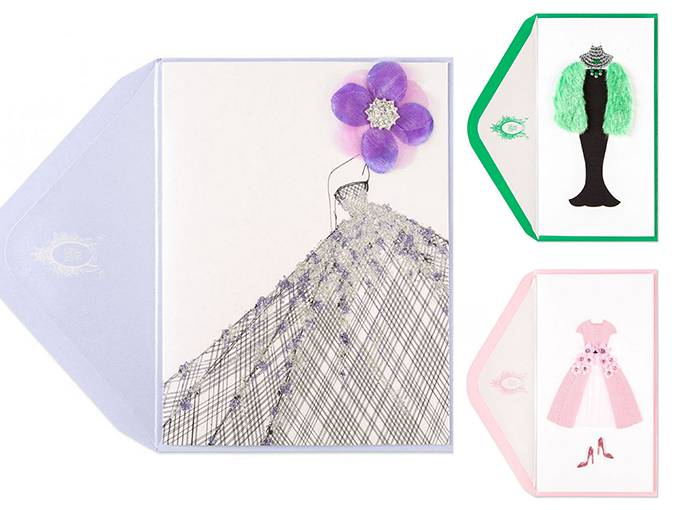 I love Papyrus fashion cards as they can be framed and put up on your desk as inspiration. I'm hoping to return back to France next spring. My Dad wants to photograph the lavender fields of Provence. I'm keeping photos of Zang Toi's Spring 2017 collection to keep me motivated. I want to twirl in the French flower fields in a silk ballgown!